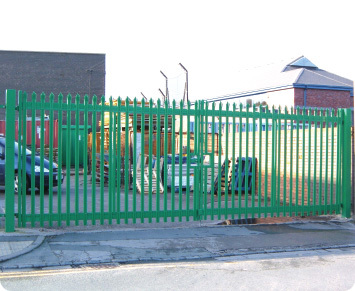 Palisade security fencing gates can be installed to fit your requirements. Control ranges from manual to fully automated. Single or Double leaf palisade gates are available in different widths and heights.